As a mom, I try to think back over a decade to when my babies were newborns. The way their hair smelled, the little sounds they made, how tiny they were. It is really hard to imagine when staring at the faces of an 11 and 14 year old. Their sounds are no longer always cute, they are giants by comparison, and let's face it... their smell isn't always so sweet. For this, I am grateful that we have newborn photos of them to look back on so we can be flooded with these sweet, sweet memories. It is indescribable to be able to look at those newborn photos on my wall and see the similarities in my children's faces as almost grown humans. The deep frown of my son has followed him from day one. The way my daughter gazes at me straight in the eye as she did in the hospital just hours after she was born. These memories come back to me again and again. They are priceless just like these newborn photos. Baby photos are one of my favorite things to create. Not only because I get to squeeze on a baby for a few hours, I know these photos are going to be cherished forever. Never again will your baby be as small and vulnerable as it was that first week. Never again will it fit into Daddy's hands or tuck under Momma's chin. Who wouldn't want to have these images forever? A few months ago, my daughter and I were looking through her photos. She informed me that she cannot wait to look at them again once she had a baby to see if her baby looked like her. To think that far into the future as an 11 year old means something. It means even she cherishes those baby photos. Of course my heart swelled with pride both for having documented such an important time and for her realizing this was done for her. Newborn Photos in Cody Wyoming are taken by reservation only. Generally we are one of the first to know that a mom is expecting. Once you are on the list, you are guaranteed to have the best newborn photos to cherish forever. 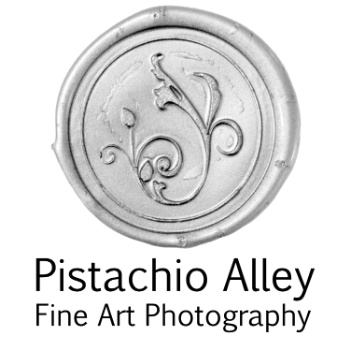 Contact Melissa Thompson at Pistachio Alley Fine Art Photography today to ensure your spot on the reservation list for Newborn Photos in Cody Wyoming.